When considering the factors that can contribute to long-term career success, law students shouldn’t overlook professional development opportunities within law firms. In this article, we will explore some of those often-overlooked opportunities, and will discuss questions you should ask during your interviews to help you drill down on this information. 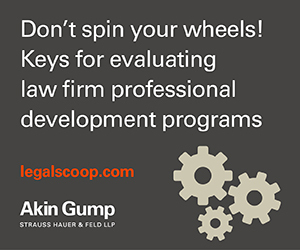 This guidance is derived from years of working in the recruiting and development programs at Akin Gump, and have included factors we believe are important as you evaluate firms to determine which may be the best fit for your long-term goals. Where do I start when evaluating development opportunities at the firms in which I am interested? When you start evaluating law firms to determine where you would like to work, you will likely focus on organizations that fit your geographic and practice area preferences, as well as on various industry rankings and reports. While these are important factors, there is more to consider. Ok, what else should I look for? Focus on firms that will meet you where you are in terms of your development needs, and help you grow as a lawyer. For some firms, information regarding the development programs and benefits they offer can easily be found on their website. With others, you may need to dig deeper to find this information, and it may be harder to find if you don’t know what to look for. Many firms have implemented formal career development programs for their lawyers to help you navigate your long-term career path, with some even offering in-house career counselling services. You may spend the rest of our career at the firm where you are a summer associate, or that firm may be the first step on a longer journey. In order to help lawyers, figure out their long-term career path, a number of firms have begun hiring career counselors whose role includes helping associates reflect on their career and discover their full potential, whether it is inside or outside the law firm. • Does the law firm support lawyers in developing their long-term careers, whether the lawyer decides to stay at the firm or go elsewhere? • What resources does the firm offer to support a transition from law firm practice to in-house practice? • Does the firm offer in-house career counseling or access to job opportunities at outside organizations? One key to a lawyer’s success is receiving both informal and formal feedback. Formal feedback typically occurs during a performance evaluation meeting. Informal feedback may happen at any point and is typically less structured. You should consider how the firm approaches feedback, particularly as many firms have implemented a less formal process that involves more frequent communication between supervising lawyers and the lawyers who complete the work. • What is the firm’s performance evaluation process, and how will this impact you as a practicing lawyer, i.e., do evaluations impact compensation and advancement? • Does the firm have a process in place to facilitate the communication of informal and formal feedback to its lawyers (i.e., is there a process in which lawyers can receive feedback on a project, assignment, case or matter basis)? Advances in technology allow lawyers to work from practically anywhere and remain just as productive as they are working in the office. While face time continues to be important, there are many times when it is helpful, and even necessary, to have the ability to work remotely. Many firms now offer policies that enable associates to work from home periodically. In the past, flexible arrangements were sometimes reserved for more senior lawyers, because they had firmly developed relationships and roles within their practice groups. However, many firms now make technology available to all lawyers so they can work remotely when necessary. • What policies does the firm have in place to facilitate its lawyers working remotely or flexibly? • What technology and other resources does the firm provide to support remote/flexible work? Your wellbeing is important and can have a significant impact on your experience and success while working at a firm. Since so much of your time is spent working, law firms should recognize this and have robust programs in place to support your health and wellness goals. Many firms have created comprehensive wellness programs to provide guidance and support for the overall wellbeing of lawyers and business services staff, which includes physical, mental, financial and work-life wellbeing. • Does the firm offer, or have plans to offer, a wellness program? • What are some examples of the offerings if so (i.e., does the firm offer gym discounts, financial planning benefits and/or other wellness tools)? Diversity and inclusion is a top priority for law students and lawyers, as well as for law firm clients. There are many ways in which a firm may support diversity and inclusion, and it is important that you understand the firm’s efforts in this area. Diversity among a firm’s lawyers, including diversity in background, experience and talents, is crucial to a firm’s ability to provide outstanding client service, attract top talent and collaborate effectively. • What diversity and inclusion initiatives does the firm have in place to retain talent? • What is the firm doing to support efforts to increase diversity within the organization as a whole? Firms that are focused on retaining talent recognize that hearing and learning from lawyers at all levels in the firm is important. The insights, ideas and innovations of the firm’s lawyers, especially the firm’s associates, are invaluable. Ensuring that the needs of junior lawyers are heard contributes to retention, creates investment in the firm’s long-term success and leads to career satisfaction. • Does the firm encourage input from its lawyers, and how does the firm collect or elicit this input? • Are there particular initiatives or changes in the firm’s operations that have grown out of lawyer insight? Many firms have established alumni programs for former and current employees to connect and share information, and these programs can be a valuable source of information regarding the opportunities lawyers pursue when they leave the firm. Deep alumni relationships can be a useful tool for associates as they consider next steps in their career path. • What training did the lawyer receive at the firm that helped them advance in their career? • What was most valuable about the lawyer’s experience at the firm? In closing, finding a firm that offers resources that support you during your career and beyond is a key factor to any lawyer’s long-term success. At the end of the day, success in law firm life and practice is an investment by both the lawyer and the firm, making it crucially important that law students are armed with the tools that allow them to ask the right questions and find a firm that is the best fit. 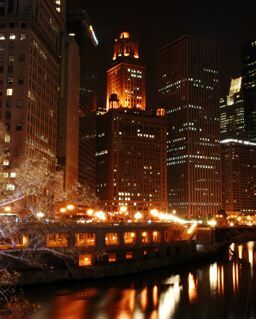 For more information regarding big law and recruiting, please visit: www.legalscoop.com.